An international umpire, Kenya’ Michael Kuria has displayed his ability as an official on many occasions; now the 22 year old has added another string to his bow. 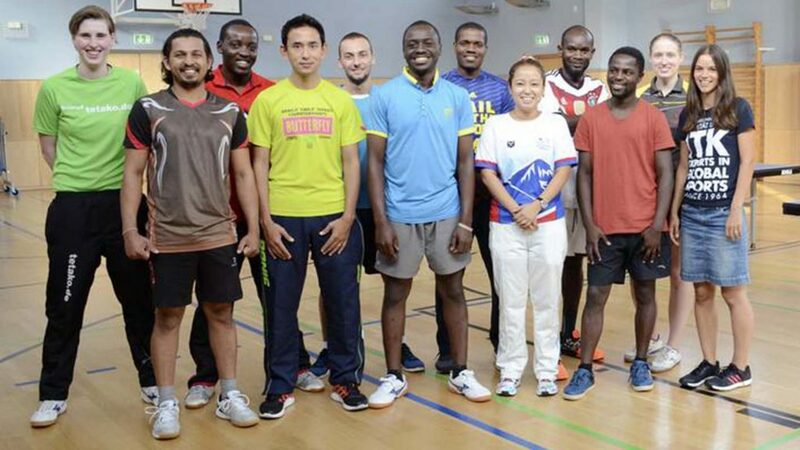 Recently, he completed a five month International Coaching Course (ITK) at the University of Leipzig in Germany. An excited Michael Kuria described his experience in Germany as awesome. “I liked the close relationship among the course instructors, the university staff, administrators, my colleagues and the table tennis fraternity in Leipzig. There was a great atmosphere and a wide range of topics to be learned. We were even given the opportunity to learn from the best by attending the recent 2016 Liebherr Men’s World Cup in Saarbrücken. I applied for the course through the German Embassy in Kenya and was later contacted via the same about my successful selection for the course. I received the information about the opportunity from my parent association, the Kenya Table Tennis Association. It was not my first trip to Germany as I was there in August 2014 under the Kenya-Germany Table Tennis Youth Exchange Programme in Bamberg. When I secured the scholarship, I was overwhelmingly happy on receiving the call and from the German Embassy. I remember I was still in bed that morning and it was also exactly one week after I had received the news of passing my International Umpire exam. I was at the University of Leipzig on the International Coaching Course under the Sports Science Faculty of the University. Among the subjects were specialization (theory and practice) in table tennis, general science of training, sports medicine, sports pedagogy, sports psychology, strength training, sports management and the German language. First and foremost, I decided to move into coaching after realizing we don’t have enough coaches back in my country; for example reflecting back to my local club in Kenya (St. Teresa’s TT Club).